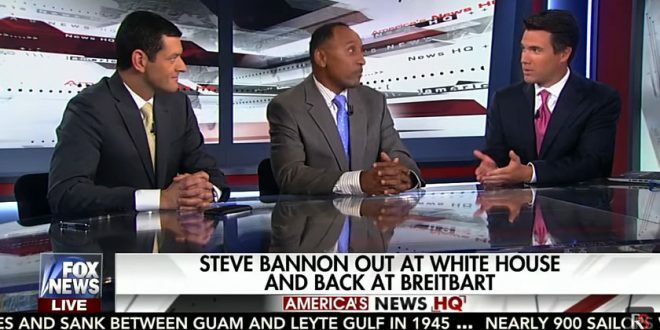 Fox News Host: Nobody From The White House Will Interview With Us About Bannon's Ouster [VIDEO] - Joe.My.God. Fox News host Leland Vittert revealed on Sunday that President Donald Trump had refused to let anyone from his administration appear on the network. During a segment about Trump’s outgoing chief strategist Steve Bannon, Vittert noted that only Trump surrogates from outside the administration would discuss the staff shakeup.